The New York State Library began digitizing New York State government documents in 1995. Today the State Library's Digital Collections includes a substantial number of New York State publications, both contemporary materials from 1995 to the present and selected State publications from earlier years. In addition, the Digital Collections include some historical materials from the 18th through the early 20th century in many subject areas, including the Revolutionary War, the Civil War, Native American materials, New York State laws and natural history. While books make up the core collection, Digital Collections also include primary source materials such as letters, diaries and rare manuscripts as well as maps, music scores, and other visual materials. 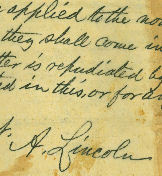 Newer State documents in this collection are generally "born digital," while older items, whether State documents or historical items, have been scanned from original copies located in the State Library.